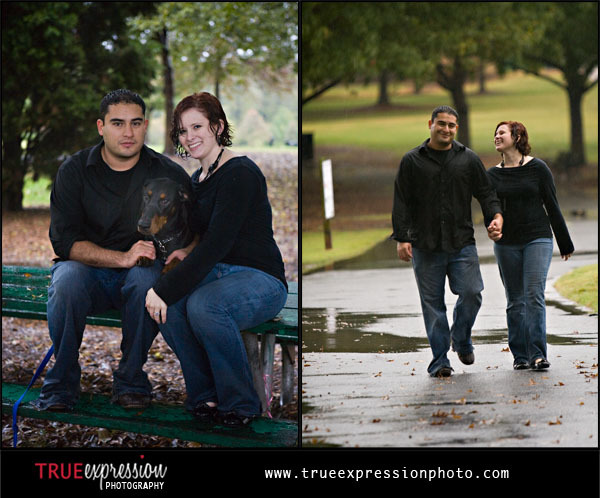 I had so much fun playing in the rain in Piedmont Park with Rosie and Diego for their engagement session. 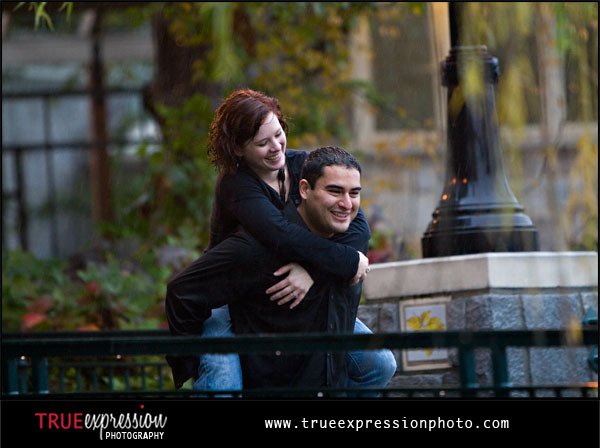 I was so excited and pleasantly surprised when they decided that they didn't want to reschedule their session for a sunny day. It was great to get some really fun and unique photographs of them. I love that they were up for just about anything I asked them to do. 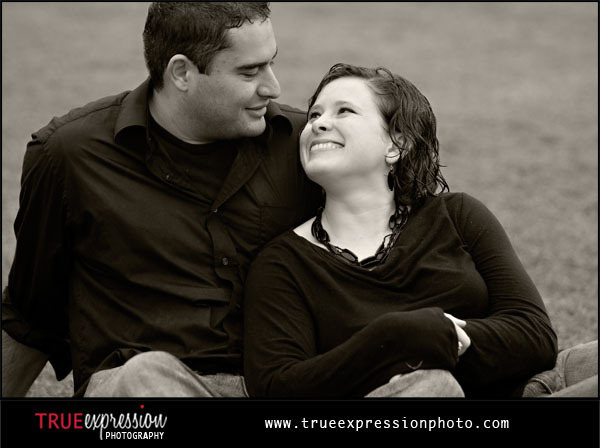 By the end of the session, they were muddy, cold and wet, but they never stopped laughing and smiling. 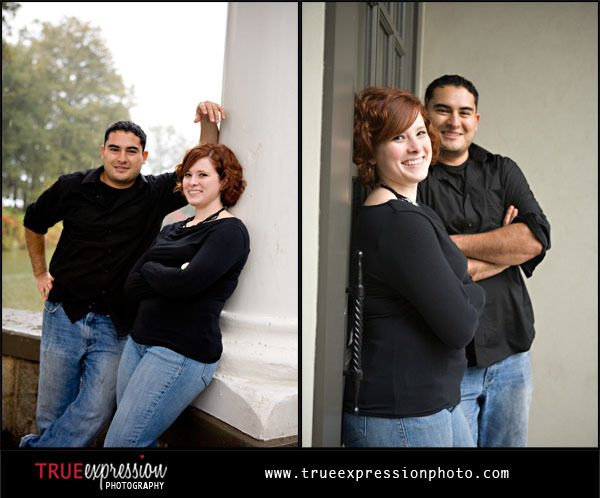 Here are a few of my favorites from their session. 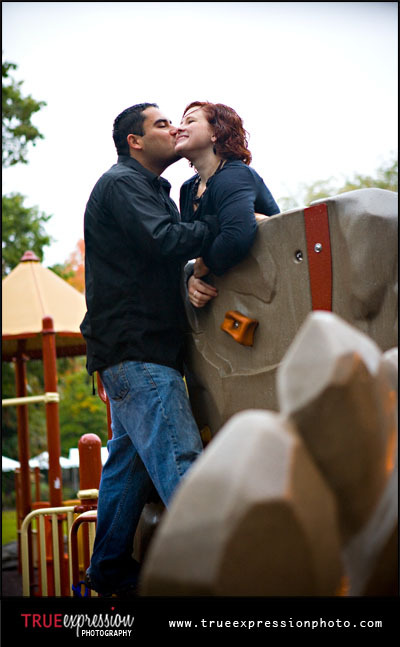 Let me tell you, it was really tough to pick out photos for this post. I absolutely love so many of the photos of got of these two and wanted to post them all! 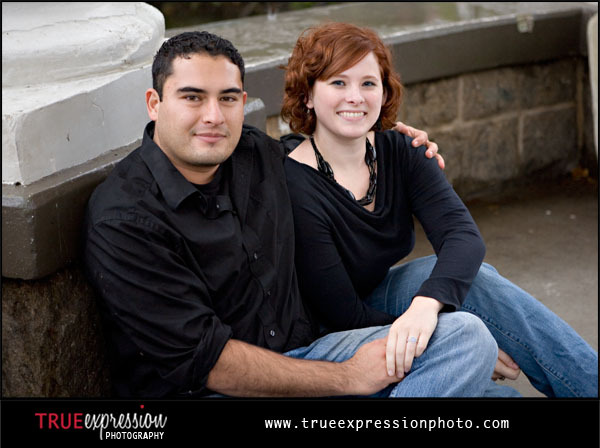 Make sure you check out their slideshow at the end and the sneak peek I posted last week for more photos. 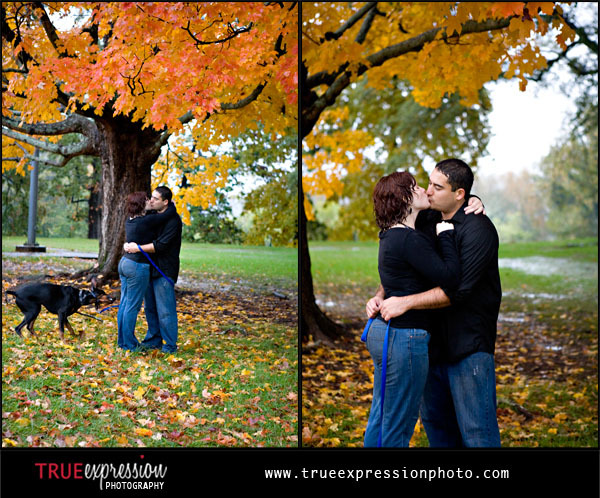 I got a few dry shots of them in covered areas before they got wet. I love Rosie's hair in this next shot. They had so much fun jumping in puddles! That's right, they even climbed up a tree! I told you they are awesome! Love the pretty fall colors in these next ones. 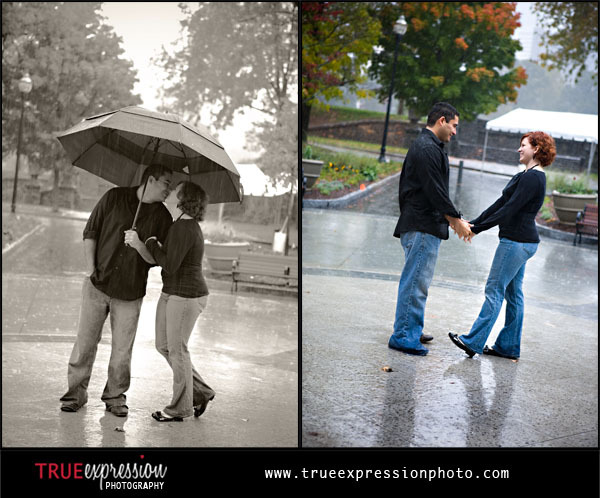 How cool that you had a great couple willing to have fun in the rain - added to the fact you were willing to shoot it. More power to ya! Beautiful shoot!